Brighton is an exceptional place to live. Dubbed London-by-the -Sea, Brighton is a unique and vibrant city where you can chill out on its huge beach, people-watch from countless cafes and pubs, browse the quirky shops of the North Laine, then take in the museums, theatres, live comedy, music and nightlife. If you’re hunting for your perfect home in this buzzing seaside town, here at Mansell McTaggart estate agents in Brighton you’ll find the right team to help you. Maybe you’re thinking of selling your Brighton property and looking for a trusted partner to support you in marketing? We are a reliable and friendly team of experts, ready to work with you on your buying or selling journey. Filled with knowledge and expertise of the cosmopolitan city of Brighton and the surrounding areas of BN1, BN2, BN3 and BN45, we are an estate agency committed to first class communication to ensure a smooth path to your move. Dedicated to professionalism, we take great pride in our services and seeing your sale or purchase right through to its exciting conclusion. Search for houses for sale in Brighton, flats for sale in Brighton, land for sale in Brighton or search all property for sale in Brighton. For the latest impartial advice, call our office to be in put in touch with The Finance Planning Group. 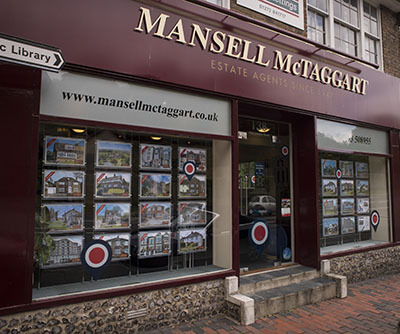 Mansell McTaggart is one of the largest estate agents in Brighton with a huge choice of properties in the local area. Buy or sell your house though Brighton's premier estate agent.